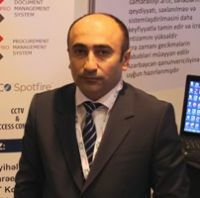 - At Bakutel we are representing ProSys, which was established in March 2010. The company specializes in the field of information communication technologies, offering equipment and software products. In order to persuade potential clients of the efficiency of our solutions, we are demonstrating our software products on our stand. ProSys offers various software products that are needed by companies. These include document processing, procurement, human resources management and sales management programs. Moreover, at our stand we are presenting the products of our partner, for whom we are the distributor. These products are HID card printers, which use the latest technologies. Using this equipment it is possible to print service certificates, identification cards and so on. The anniversary Bakutel exhibition has been organized very well. Following the meetings held as part of this event, we already have positive results from our work here.